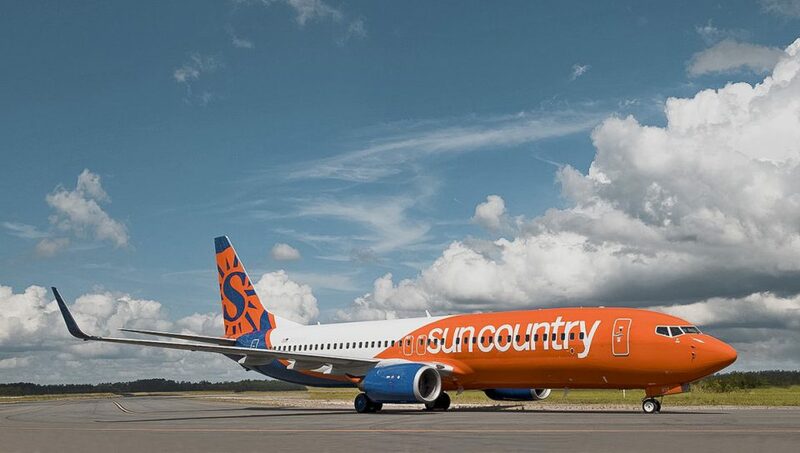 Sun Country Airlines announced their largest addition of routes in the company’s history as a scheduled service airline – 19 new seasonal nonstop routes and seven new airports. The network expansion includes eight new nonstop routes for the airline’s home base of Minneapolis-St. Paul International Airport (MSP) and eight new nonstop routes in recently expanded markets Nashville, Dallas-Fort Worth, and Portland, Oregon. The airline will also expand nonstop destinations from Las Vegas, and welcome San Antonio and Providence, Rhode Island to its growing network. The new routes are part of an overall growth plan for the airline that will include aircraft growth and increase the company’s Twin Cities workforce by 10 percent in 2019. The additional eight routes from MSP will be a nearly 20 percent increase in destinations the airline offers local flyers. Sun Country Airlines newest announced routes. The airline has been experiencing record growth over the past year. 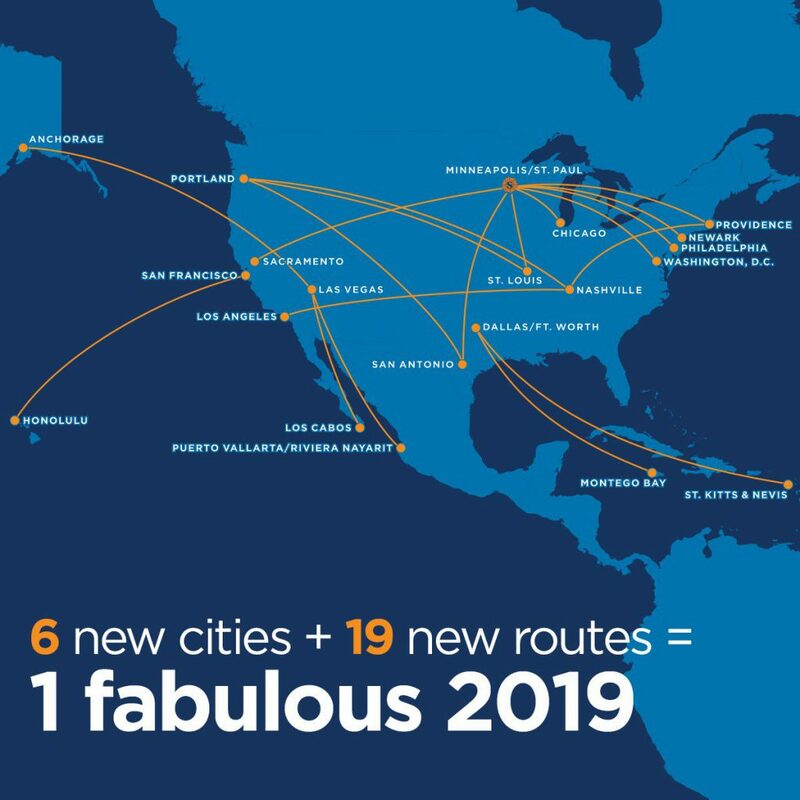 Sun Country first added new routes beyond the MSP market in June 2018, bringing on service from Dallas-Fort Worth, Madison, WI, Portland, OR, and St. Louis, which brought the network at the time from 53 to 64 nonstop routes. Nashville was added in August 2018, and this announcement, the airline will operate a total of 86 routes across 53 airports, which marks a nearly 40 percent growth in routes served since June 2018. The new airports being added to Sun Country’s network are Washington DC’s Dulles (IAD), T.F. Green Airport in Providence (PVD), Newark (EWR), Chicago O’Hare (ORD), Philadelphia (PHL), Sacramento (SMF) and San Antonio (SAT). For more information, visit suncountry.com.